What is innovation in vitro sciences? MatTek Corporation was founded in 1985 by two chemical engineering professors from MIT. 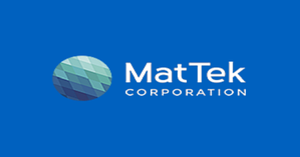 MatTek Corporation is at the forefront of tissue engineering and is a world leader in the production of innovative 3D reconstructed human tissue models. Optimizing researchers’ results by introducing published QC standards (concurrent positive and negative controls), assuring a level of reproducibility acceptable to industry and regulators. Increasing industry and regulator confidence in the performance of commercially available vitro tissue models. MatTek’s human cell-derived tissue models are used throughout the United States and Canada, Europe, Japan, and Eastern Asia. Their record of scientific and technological innovation remains strong as they continue to develop and validate new vitro assays and human tissue models.